Our new bundle of fluff......Charlie. I've been transported back to the crazy baby days of trying to fit in every possible task during 'nap' time, and although it seems to be his mission to Christen every rug in my house (you know what I mean! ), I'll forgive him anything cause he's so darn cute!! Anyhow, I'm sure you'll be seeing more of Charlie around here, but right now let's get back to the task at hand........this weeks Little Red Wagon challenge was issued by Joanne and she'd like to see at least 3 layers. I am now wondering how a card with 6 or 7 layers on there manages to look as though there's barely anything on it! Papers are 'Fabulous' from Simple Stories and digi is from Pollycraft, coloured with Copic's. The layout was inspired by this weeks Deconstructed Sketch. You still have a few more days to join in with this weeks challenge so why not? Check out some inspiration from the rest of the girlfriends too. 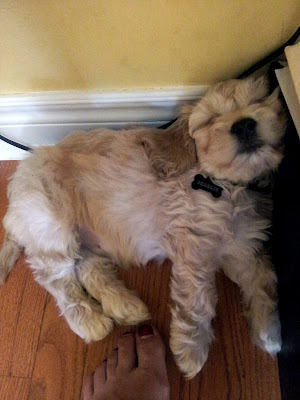 Me, I'm off to do laundry as Charlie's fast asleep at my feet. Hopefully I'll have a little more success in regards to posting on here next week, so I'll see you then. 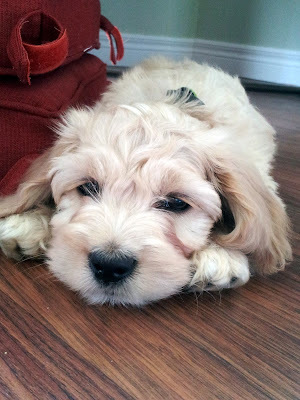 Charlie is pretty adorable!! Congrats on the new member of your family! Love your card too! Gorgeous colouring!! Who can comment on the card after the pictures of precious Charlie!! I love that slurpy puppy! On to the card...love the colours and layout and of course the multi-layers..great job in the midst of being a new Mommy...heehee! I love your card Jayne! Your colouring is always so amazing! 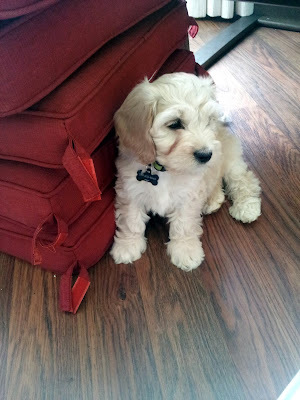 And welcome to Charlie! Be sure to bring him into the store sometime so I can see him!! Awe! Your new little puppy is so CUTE! 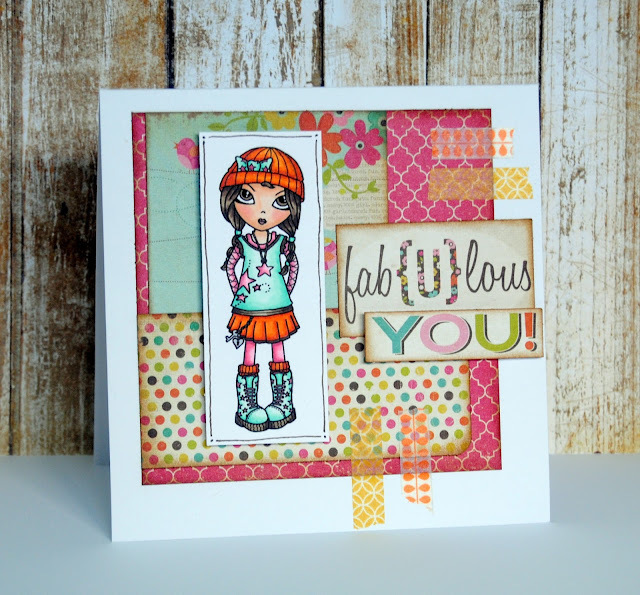 I love your fabulous card, the colors are so fun and I love how you paired the paper's sentiment with the image! Thanks for joining us for DS115! Fabulous Colour! Thank you for sharing with us at Card Crafter's Circle!